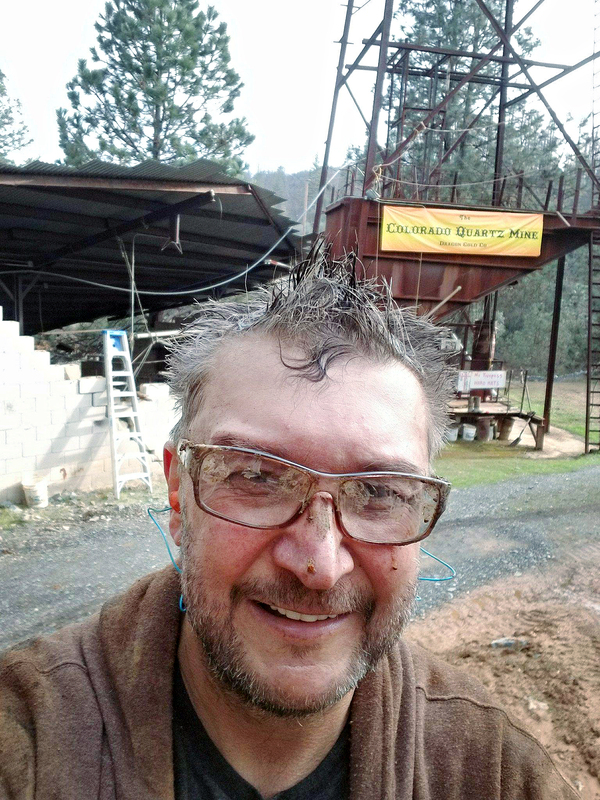 The Colorado Quartz mine in Mariposa, CA is a gold prospector’s dream come true. As one of the world’s most famous gold mines, it is hailed in the mining and mineral specimen collector communities as the cream of the crop for the rarest and beautiful gold crystals on the planet. Dave Varabioff, fresh from a day in the mine. For many people, the dream of finding gold is the fuel of the gold prospecting hobby and weekend adventures. 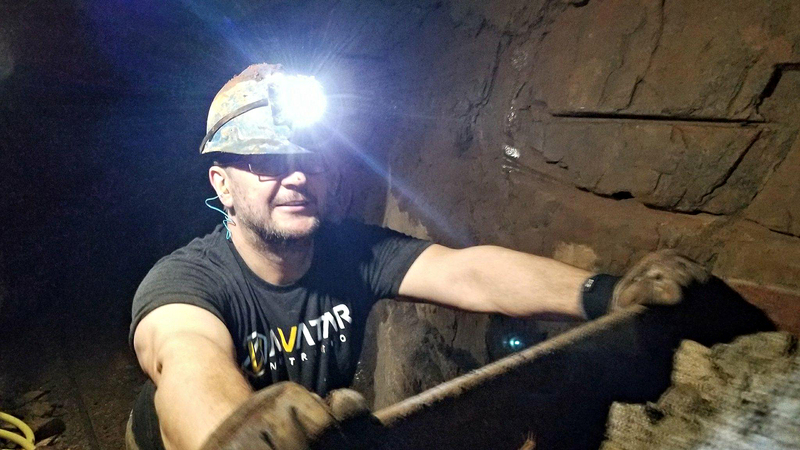 For one Spokane resident, Dave Varabioff, when the call of a lifetime came from his friend Tony Fraser in Australia to buy a mine together, Dave answered. Co-owning the Colorado Quartz mine and fulfilling his dreams became a reality for Varabioff last he answered. Co-owning the Colorado Quartz mine and fulfilling his dreams became a reality for Varabioff last fall. As most big dream achievements go, the work wasn’t always easy, but it was worth the effort. A Canadian native, Varabioff moved to Spokane the day Jerry Garcia died. 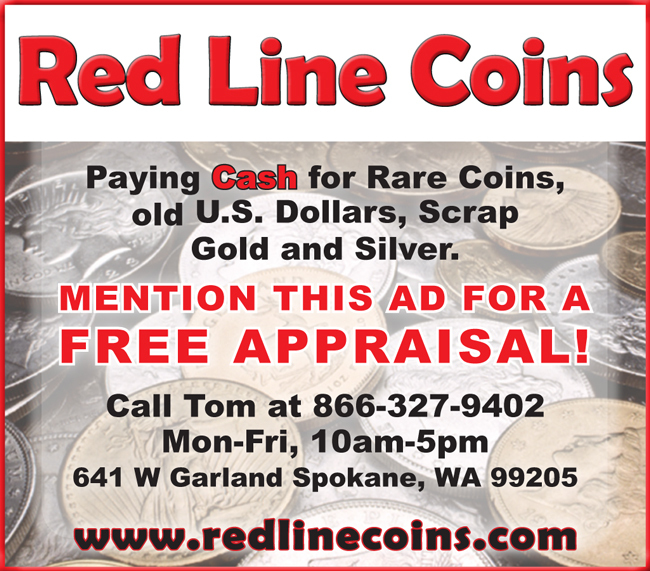 For the last six years, Dave has run a successful brick and mortar pawn business in Spokane. However, his dream of gold started long before he founded Goldbay Pawn. Varabioff says, “I fell in love with gold the day my dad took me gold panning when I was 11 years old. In the very first pan I had ever panned there were five match head size nuggets. To this 11-year-old kid they look like baseballs.” Being bitten by the gold bug is no new occurrence in our area but Varabioff took gold fever to the next level. As that youngster sorted out what gold could mean to him, he began to build a dream of someday making a living from gold. He never stopped taking action to propel him toward that dream. 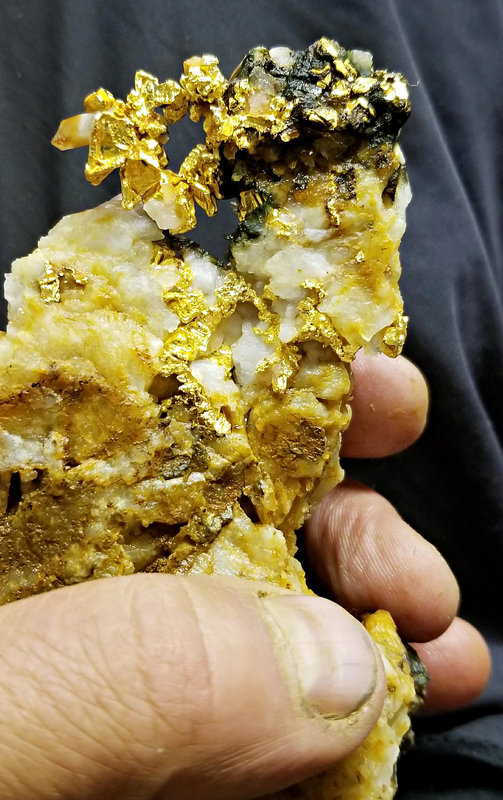 A recent crystalline gold nugget from the Colorado Quartz Mine. He is adamant that anyone can achieve pretty much anything. He asserts that while achieving dreams isn’t always easy, who you get to become in the process of achieving your dreams is the real gift. The gold mine Varabioff left Spokane to co-own and work, has been around since 1870. It’s historic significance only adds to the mine’s mystique. The most valuable piece of gold came out of the mine in 1998. It is called “The Dragon” and is in the Houston Museum of Natural Science. There are also pieces in the Los Angeles county museum and the Mariposa Museum. Specimens are currently sought after by high-end collectors. Varabioff sees himself coming back to Spokane a few times a year for the next five years or so. 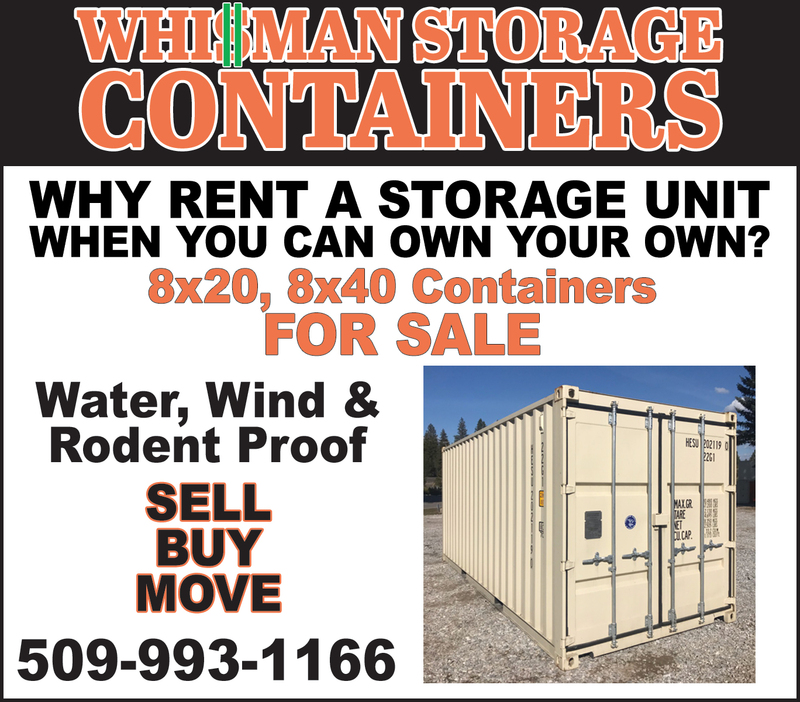 As a business owner, having both commercial and residential real estate here, he reflects that it’s the people in our area that still have a hold on him; the business just makes it easier to keep those ties alive. He credits the amazing friendships and people for tugging him away from the mine when he ventures back to Spokane. Dave, 140 feet down and 400 feet into the mine. 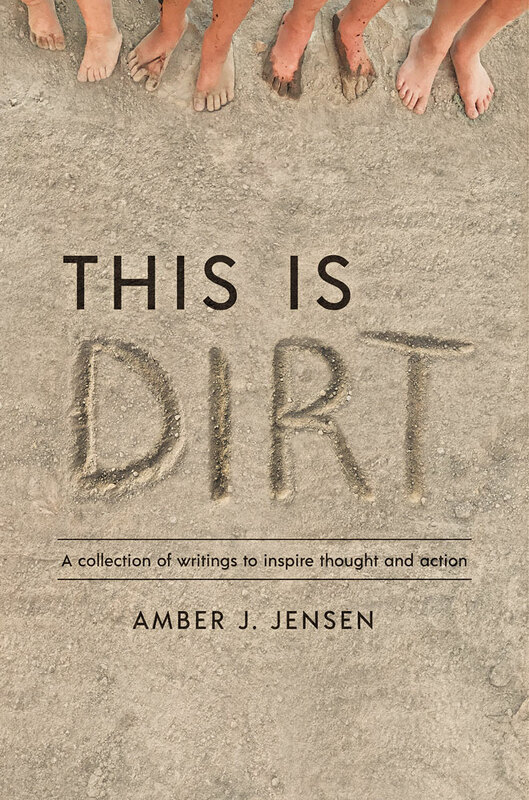 About the Author: Amber Jensen is a mother, wife, writer and dirt road philosopher. She hales from small-town Idaho and makes her home on a spread of dirt in Eastern Washington with her husband and four wild children. She is dedicated to a life of contribution and finding the pieces of our journeys that connect us all in our greatness. The imperfect and incomplete nature of life is often overwhelming and stifling. By choosing it and owning it, Amber has taken some of the dirtiest situations and spun them into lessons to live by. Her greatest inspirations are her children and their dirt antics. Thanks so much for writing the story Amber and publishing it Huckleberry!